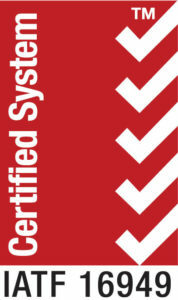 Stripmatic manufactures stamped tubular shaped parts for the automotive and heavy truck market worldwide. 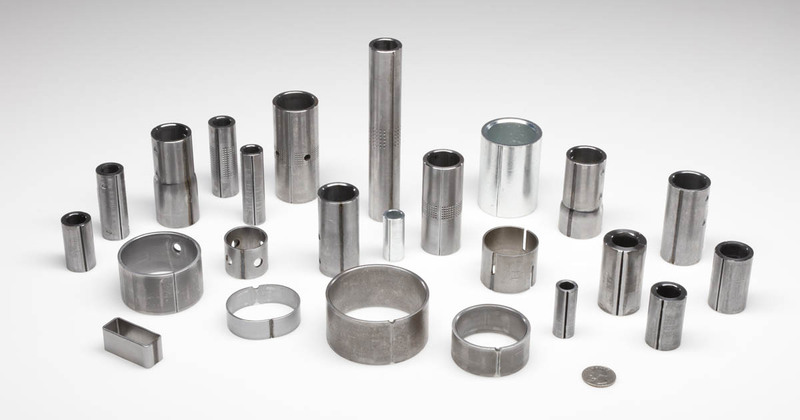 We’ve grown and adapted to the demands of the marketplace for over 70 years and in doing so have refined our process to provide components with exacting quality requirements at a lower cost. Rubber, plastic urethane over molded anti-vibration systems: Inners, outers, eye rings, outer loops, cab mounts, body mounts, engine mounts, exhaust hangers, links, struts, control arms. Structural spacers used to reinforce stamped frame rails and cross members, sub-frame assemblies, clam shell modules and bumper crush tubes. Structural spacers on the chassis secure components on the frame or module when assembled with high torque fastener systems. Square and rectangular tubes with pierced holes to telescope into trailer hitch systems. Significant Cost saving opportunity versus cut tube. 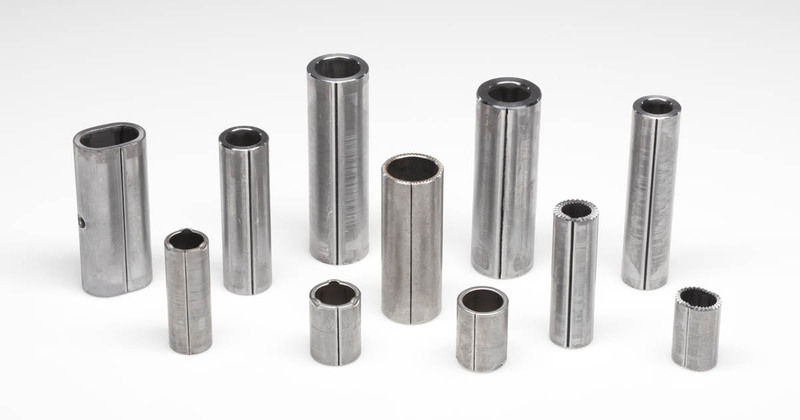 Anchor pin bushings are manufactured to the specific O.E. dimensions which are engineered to develop the ideal press fit into on class 7 and 8 truck spider system. Stripmatic also manufactures torque plate and camshaft bushings. 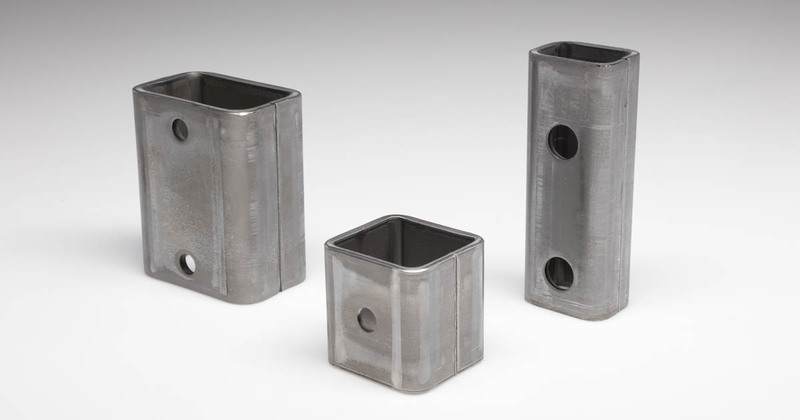 Square and rectangular tubes with pierced holes to telescope into trailer hitch systems. 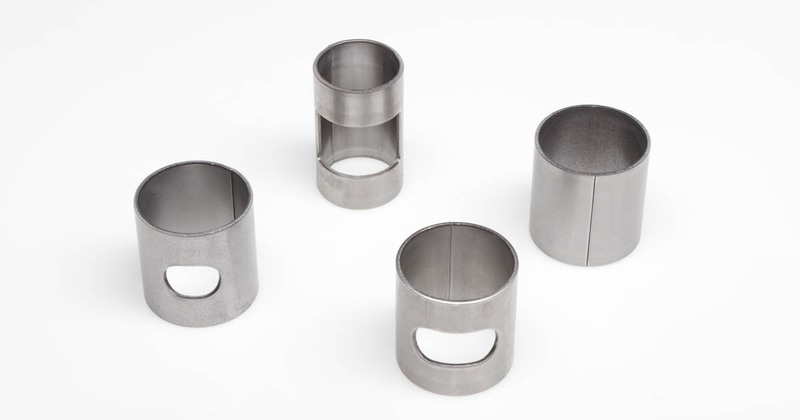 Anchor pin bushings manufactured to the specific dimensions which are engineered to develop the ideal press fit into OE class 7 and 8 truck spider system. Stripmatic also manufactures torque plate and cam shaft bushings.